“The Aquarian Theosophist”, pp. 12-14. Dr. N. C. Ramanujachary is currently the Joint General Secretary & Director of Studies for the Indian Section of the (Adyar) Theosophical Society. Born at VIJAYAWADA in the Krishna district of Andhrapradesy on 14th February 1935, he received formal education in Madras University area, as also from Bhagalpur ‘Varsity in Bihar state of North India. He was especially trained in the “Organization and Methods” and “Vigilance” branches of Management studies. A member of the T.S. since 1958, Ramanujachary is a keen student of theosophical history & philosophy. His particular areas of study are H. P. Blavatsky, T. Subba Row and J. Krishnamurti. He presided over the Theosophical History Conference at London in 1989, and conducted a number of Seminars and Workshops in India and Singapore. His doctoral thesis is on “Nine-fold Relationship between Humanity and Divinity, according to Madame Blavatsky and Sri Pilla Lokacharya (A Visishtadwaita exponent)”. In recent years he brought out a series of seven books under the caption “Theosophy: Approach Books”. His book “The Lonely Disciple” and several of his articles can be found at our associated websites. It appears to be peculiar, and the same time significant, to look into oneself after a long time of one’s life, as to the experiences and effective impressions that were gathered over in course of periods passed. I am now in the seventy-eighth year of my present life. How I got into the theosophical movement and how the literary genre of ‘short-fiction’ came into my being seems too natural for me. Born into a traditionally oriented (cannot call it orthodox) family and perceiving the world around, the behavioral patterns of people and variants therein, the mind and the thinking pattern dovetailed into these two areas of working: (1) theosophical philosophy and (2) creative literature that would portray the philosophy of life (Meta-fiction). 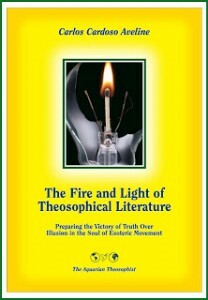 During the early years, I had the opportunity of reading through the basic literature of theosophy, both in English and the regional language Telugu, not in its immediate grasp but the seeds deeply taking root in the being. As this happened in the course of elementary and secondary levels of schooling, the intensive study and adaptation became easier and effortless as I grew into the collegiate and career parts of life. The philosophical systems – in a conventional notion – available in India are mainly two-fold. The first says that the “World is unreal, Absolute alone is real” and achievable; and the second proclaims the “World with its sentient and insentient beings is the Form of the Creator” and so not ignorable; the second view-point appealed to me well. The reason and rationale of both the points could be gathered only after deeper study of texts and nature. Dream and its relative reality, continuity of consciousness at all levels of living, meaning of death and the transformations it brings in quicker – all these and similar concepts appeared not mere “ideas/ideations” or “man-made speculations” but true in themselves, after series of impressions obtained consequent to the deeper study and understanding. The theosophical “fundamental propositions” of Helena P. Blavatsky, already notionally available in the basic structure of any philosophy as such, got struck to the mind. The presence of Principle, its periodical manifestation and the Identity of Individual soul with the Over-soul which invariably leads to the “obligatory journey”; and the need to “surrender” to that Jnanatma (Wisdom that is eternal) are very familiar statements in Sacred Scriptures. The rational presentation of these concepts to a scientific (rational) mind and the way Blavatsky expounded them to reawaken the “Aryavarta” appealed marvelously awe-inspiring. When I took up to study the traditional text in my language, in this background, the first text provided to me was the “Catechism on Visishtadwaita Philosophy” by a Sanskrit scholar. More than the text, what amazed me was that this book was commissioned to be authored by Col. H S Olcott, the President-Founder of The Theosophical Society in the series of Comparative Religions in India. That was the factor which brought to my mind the splendid work the Society undertook in bringing the “essential unity of all religions” to the westernized Indian generation of the day. Then on, I decided to devote all the available time for literature and philosophy, at the cost of career. A resolve to voluntarily retire from active service at an age of 45, wherever I am; and to devote the rest of life in service to Humanity through the Theosophical Society and its work was taken at my 25th year of age. The nature did provide me the fulfillment of this resolve. Employing my literary skills, I began writing and speaking on the philosophical texts and topics, the same time gaining more and more understanding in Life. Besides Helena P. Blavatsky, in the course of studies, T. Subba Row and J. Krishnamurti have given me great impetus. Whatever be the seeming different points of view among them, for me they stand singular in promoting the universally Ancient Wisdom-Religion. Suitable, sometimes even inconvenient, opportunities too came my way. To the extent that my ability and understanding helped me, I was and am able to render periodical articles, essays, book-lets, pamphlets and books both in English and Telugu; all this with a sense of humility and to assist the needy readers and public. To popularize the Blavatskian thought and to focus the point of her supplying the basic structure to the “main-stream philosophy” in the modern age – is the approach adopted by me. Her statement “Keep the link unbroken” is the watchword for me. That literature is for the portrayal of philosophical ideas among the public, is my belief. Besides the explanation of abstract ideas through narration and essay, I chose the literary genre of short fiction for my work. Writing both in English and Telugu for the past fifty and more years, I wrote a number of pieces for journals and periodicals. Besides writing fiction (which I call meta-fiction), I have developed the art of literary criticism on the genre. My short-stories in Telugu run to a series of 12 as yet, besides a book on “history and evolution of Telugu Short-story over a century” which happened to receive an award from a University. The reviews on books, which I do occasionally, are read in relish by readers. I do translations too into English, and from English into Telugu for the National Academies. My books are translated into other Indian languages. As an accomplished writer I do realize the social responsibility and sociological relevance of such work. Theosophical Movement, which is a historical necessity provided by Nature, has a great role to play in the outer world, and its perpetual need is dedicated men and women for the endeavor. Its work is never ending and everlasting. Endowed with the Wisdom that is beyond time and space, and with an understanding of all levels, it grows from strength to strength making humanity advance to its natural splendor and glory. The more the general public takes to this seriously, the nearer will be the fulfillment.